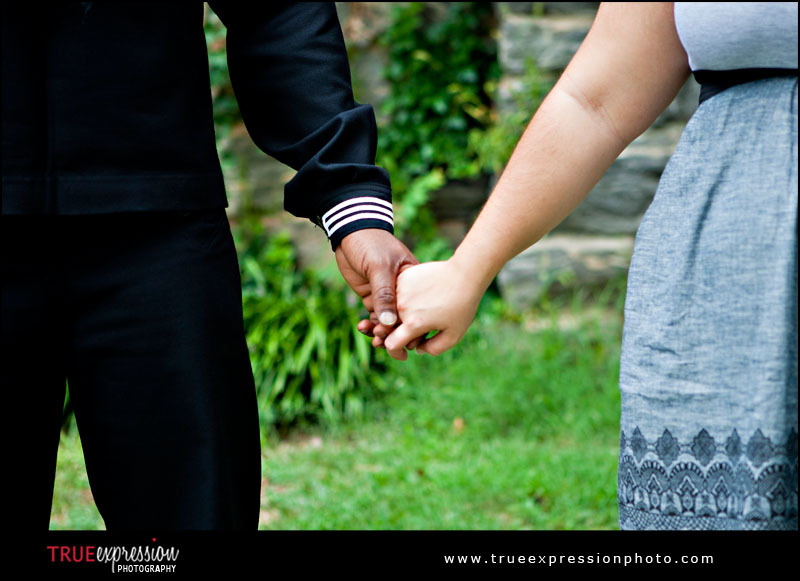 True Expression Photography Blog: OpLove: Shannon & Demario | Just Married! 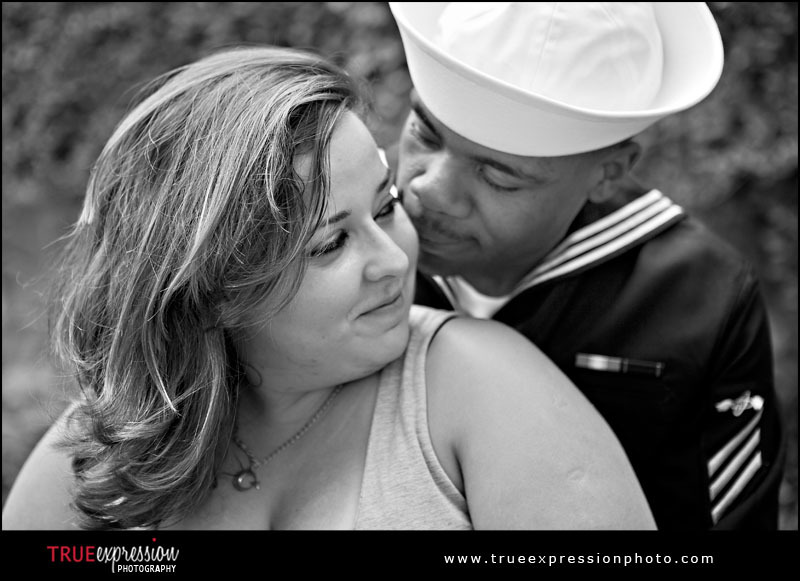 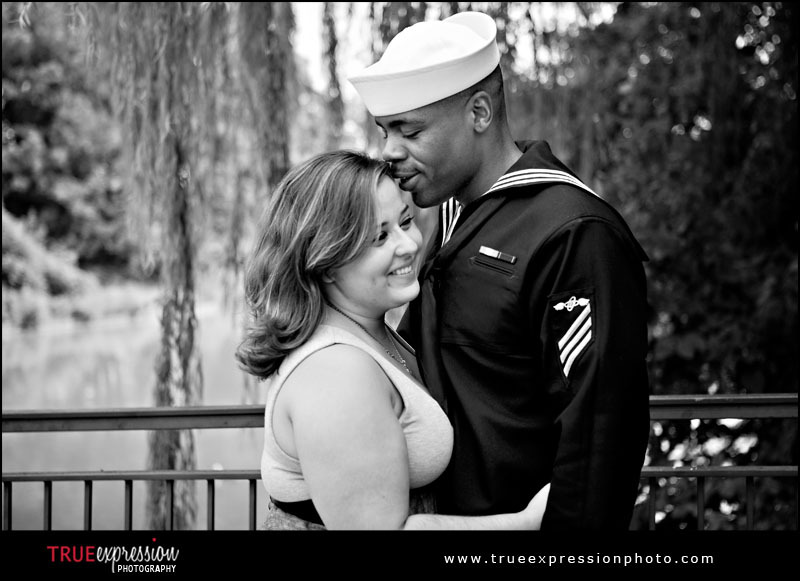 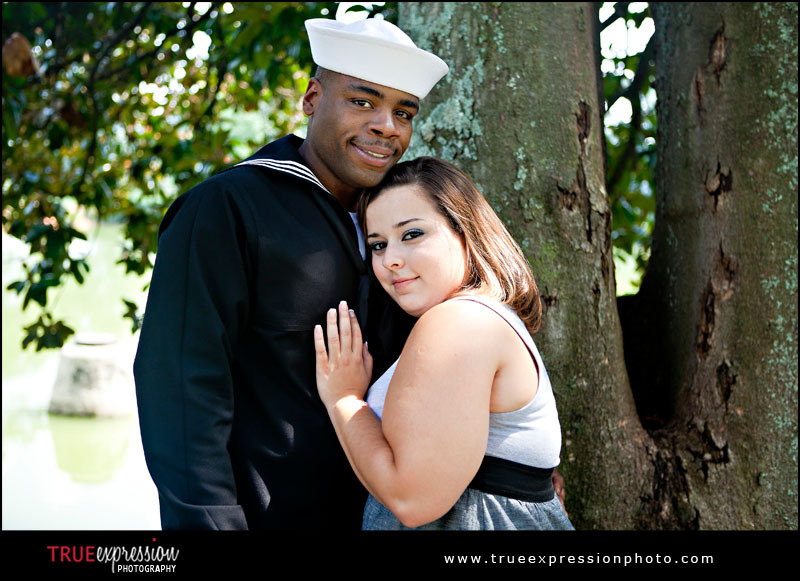 Last Monday I received a call from Shannon asking if I was available that afternoon to photograph her and her husband, Demario, who is in the Navy, before he was deployed. 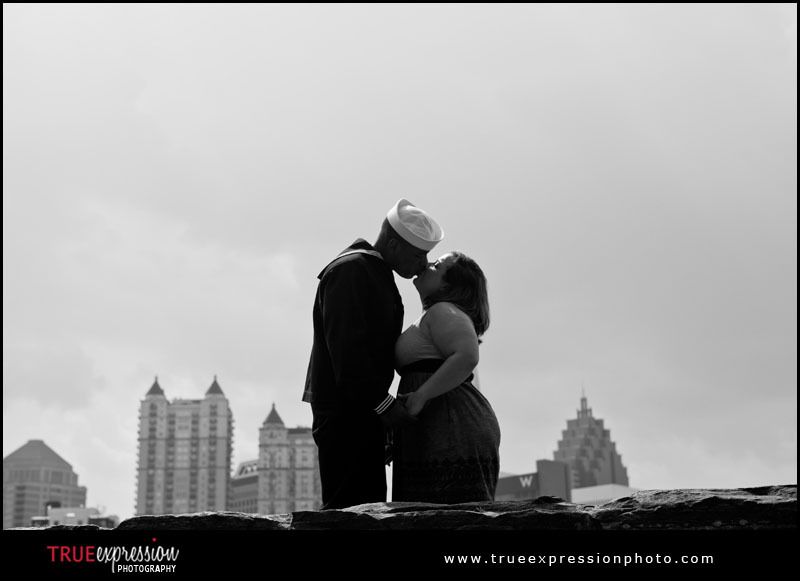 It was Demario's last day in Atlanta and luckily, I was available that afternoon to photograph them in Piedmont Park. 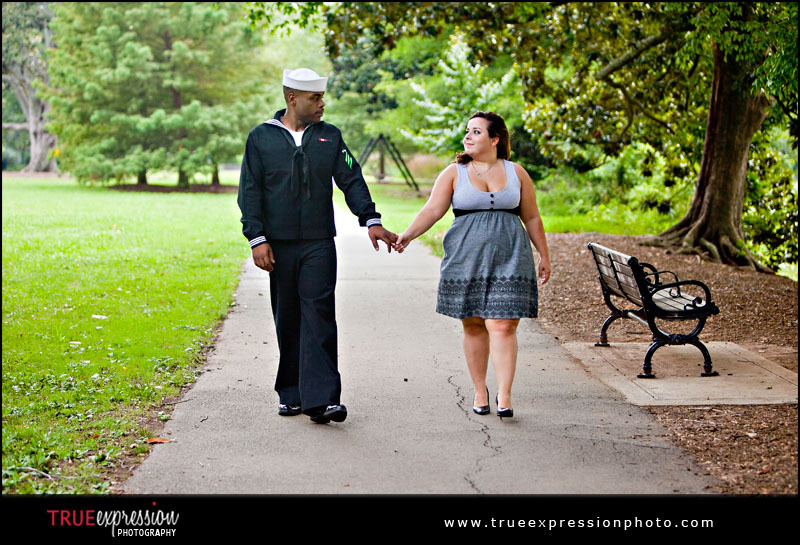 Walking around the park, we were chatting as I was photographing them. 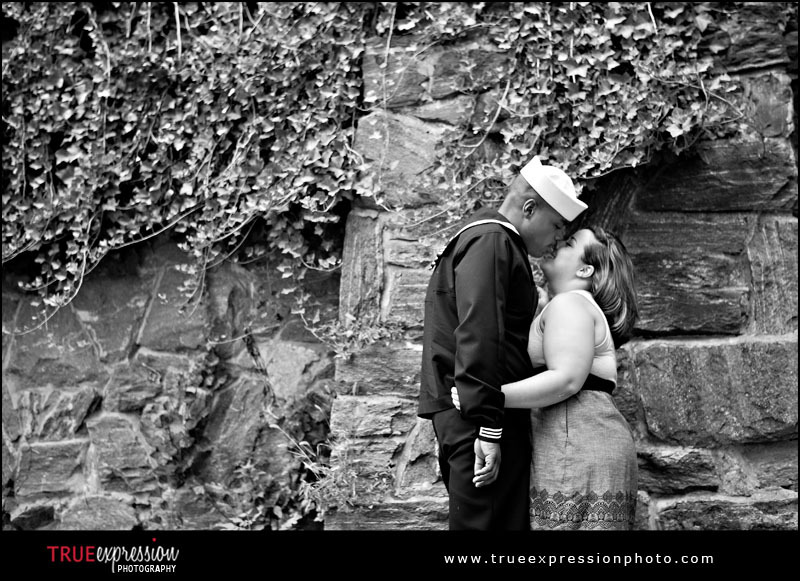 When I asked them how long they had been married, there was a long pause and the two of them exchanged glances, smiling at each other. 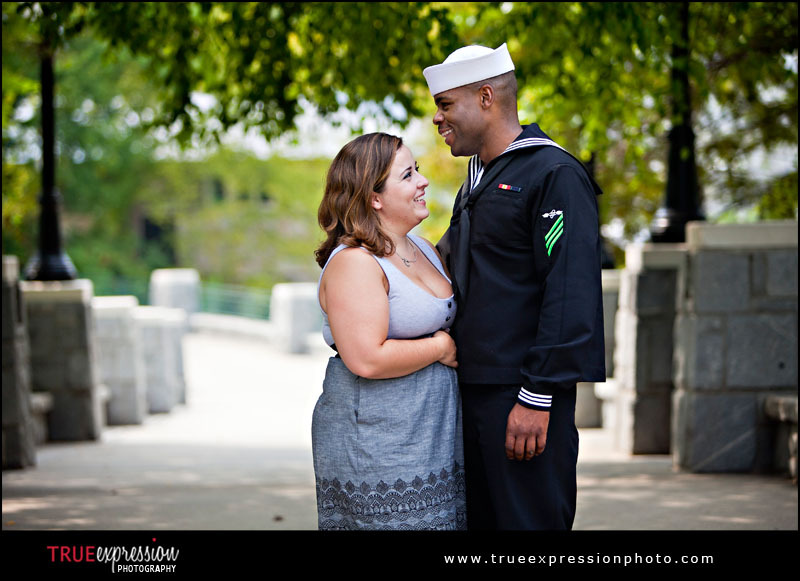 I was wondering what was going on, when Shannon said with a smile, "About an hour." 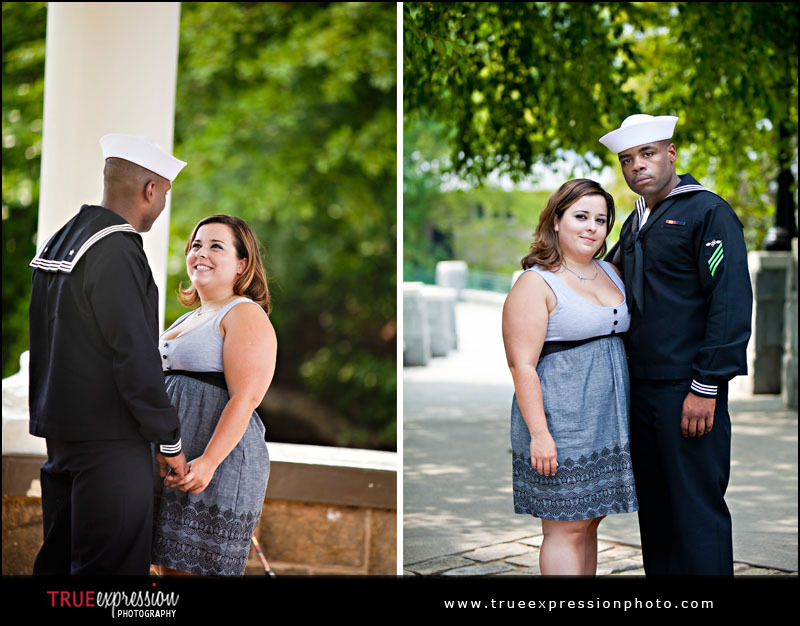 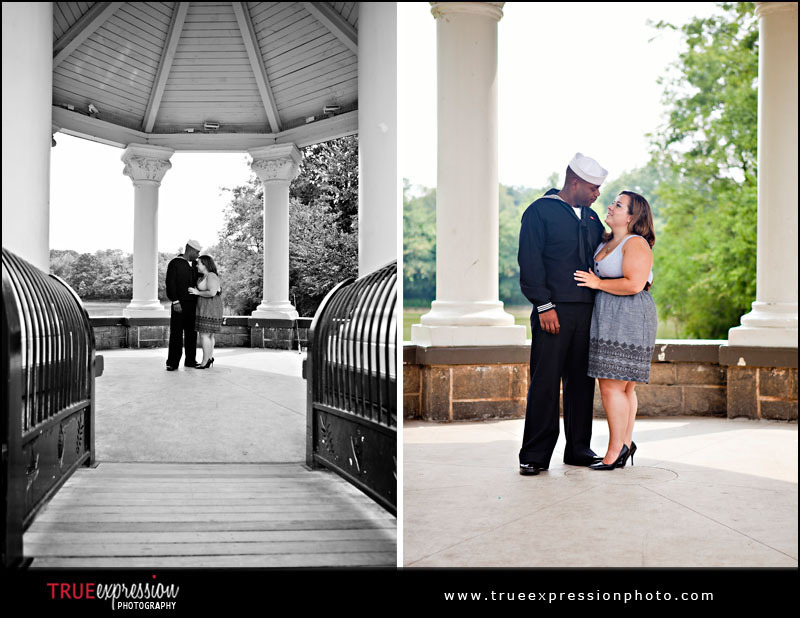 So here are a few of the portraits of Shannon and Demario about an hour after they were married.